Use these tools to help you develop and maintain a healthy soil in your residential, commercial, or agricultural properties!Please also see our bibliography of soil health resources. 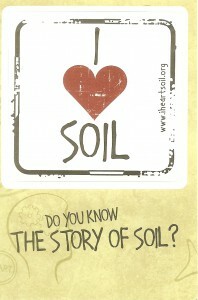 See soil in the news!! Check out this amazing article, “Healthy Soil Microbes, Healthy People!” that shows the interconnections between soils health and human health! Soil is an amazing substance. It is a complex mix of ingredients: minerals, air, water and organic matter – the countless micro-organisms and decaying remains of once living things. Soil is made of life and soil makes life. To the ecologist, soil supports and connects ecosytems. 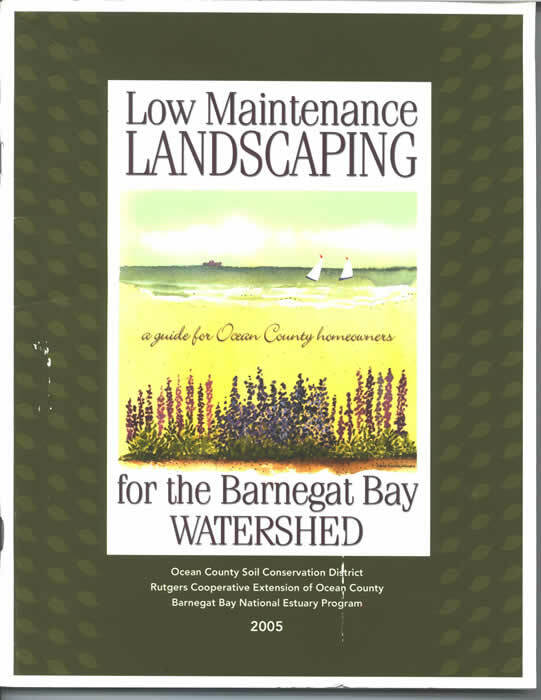 Low Maintenance Landscaping for the Barnegat Bay Watershed is a guidebook developed specifically for residents of the Barnegat Bay watershed and Ocean County’s environment and conditions. Sandy and porous soils, salty air, and variable weather conditions all play an important role in determining the make-up and maintenance needs of the home yard and landscape. This comprehensive guidebook follows 8 simple steps offering effective horticultural techniques and methods which will help you establish your own low maintenance landscape. Which grass seed is most appropriate for our soil? How often and how much should I fertilize? How can I keep my soil and my plants healthy? Where do I get my soil tested? Which flowers and shrubs are best suited to my yard? The answers to these – and many more- questions are in this simple to follow manual. Establish a low maintenance landscape – and have more time to enjoy your yard! Due to high demand the District is unable to deliver the Guidebooks to individual homes. For individual homeowners: If you would like a copy of the guidebooks mailed, please send a check in the amount of $5.00, (made payable to the Ocean Soil District) to the District office located at 714 Lacey Road Forked River NJ 08731. Fee is used to cover mailing costs. 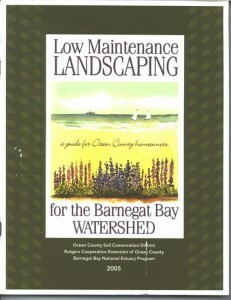 Through the dedicated efforts of Georgian Court University student, Ms. Gisselle Meza, the Low Maintenance Landscaping for the Barnegat Bay Watershed guidebook is now available in Spanish, in electronic format. NJ Soil Health Assessment Guide is offered as a tool for homeowners and gardeners to assist in assessing the health of their soil. Managed carefully, healthy soils support local communities through encouraging plant and animal production and sustaining water resources for future generations. Basically a healthy soil surface would consist of about half mineral and organic matter, and half pore spaces filled with water and air. Completing this self assessed guide will enable you to provide background information about the condition of your soil. It will serve to assist you in determining what you can do to sustain these important soil functions, and how you can assist in helping sustain all life above and below the surface. Healthy soil gives us clean air and water, bountiful crops and forests, productive grazing lands, diverse wildlife, and beautiful landscapes. Healthy soils are vital living ecosystems that sustain plants, animals, and humans. We must manage our soils so that they are healthy for both ourselves and for future generations. The ABCs of Soil Health will walk you through some of the amazing facts about soil’s role in supporting life on this planet, from A to Z, and what we can do to make sure that soil is healthy. 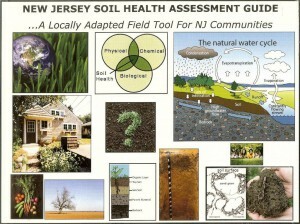 A study was conducted of undisturbed and disturbed urban soils in Ocean County, New Jersey, to investigate the impact on soil infiltration rates due to modification and compaction during construction operations, to examine if the effects are significant enough to alter the Hydrologic Soil Group (HSG) classification or Runoff Curve Number, and to provide additional guidance in the use of TR-55 for the design of structural stormwater management practices. Whether you have acres in the country, an average-sized suburban yard, or a tiny plot in the city, you can help protect the environment and add beauty and interest to your surroundings. 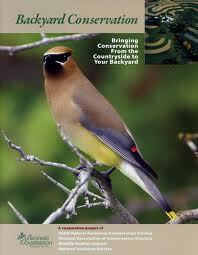 This colorful publication can get you started. Printed copies of this colorful 28-page booklet on Backyard Conservation and tip sheets are available free by calling 1-888-LANDCARE (single copies only). This campaign is a cooperative project of the National Association of Conservation Districts , the Wildlife Habitat Council , and USDA’s Natural Resources Conservation Service. The Online Watershed Library (OWL) is a service provided by the Center for Watershed Protection that allows ready access to Center publications and other resources (research papers, tools, and stormwater manuals, among others) that support best practices in watershed and stormwater management. OWL is a searchable, online database of basic information, stormwater and watershed manuals and plans, assessment tools, regulatory information, and other watershed-related resources. Users may also submit materials for inclusion in the OWL. OWL was developed to be a time-saver for watershed and stormwater practitioners as it provides users access to a well-organized database of relevant and up-to-date information. Due to copyright protection, not all publications included in OWL are available for download and in such circumstances, a link to the publication is provided. The USDA/NRCS Soil Health Theater has a library of videos from some of America’s top soil health experts and innovative soil health farmers. Video’s include demonstrations on soil health to videos featuring farmers who are farming with Soil Health Management Systems. 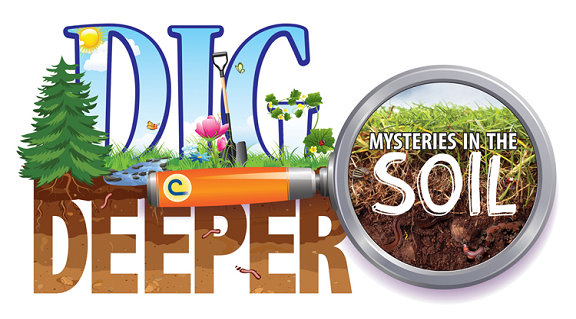 Season two: Digging Deeper: The Science of Soil Health coming soon! Check out the USDA/NRCS You Tube video on Under ‘cover’ farmers of Stanley County. This video followers three North Carolina farmers as they utilize soil health management systems on their respective farms.